Do I need a web developer or a web designer? How do I go about picking the right one for me? Click here to review an article which gives prospective clients an objective overview at selecting a good website design firm. Do I need to hire a "local" website designer? We create websites for clients who are local as well as out of state and country. By using the Internet, email and the telephone, it is possible to communicate effectively with clients in any location. A domain name is a specific website address that you choose and register with Network Solutions (the official registrar of domain names ending in .com, .edu, and .gov). 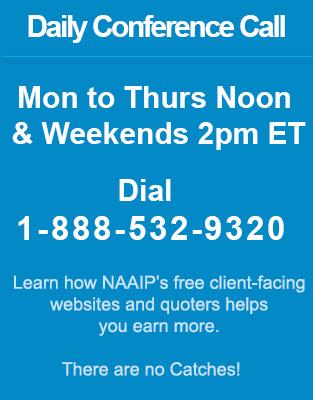 Our domain name is "naaip.org". Maintenance is a fee paid every month to keep your site updated with new content that you provide. Most good websites have new content updated regularly. Fresh content is what will keep your visitors coming back. Once your site has been submitted to the top Search Engines they may require several weeks, or even months to actually spider and list your website in their directory. How fast your site is listed depends on each individual Search Engines database update schedule. Watch your server traffic logs for visiting spiders. We suggest you use Guaranteed Search Engine Submit. Your site can be listed on AOL, MSN, Overture in a couple of days. That would depend on the goals of your website. If you run a business oriented website you would include as much information about your products or services that your customers will be purchasing from you. I've made my decision - I want you to have a website designed. What do I do now? If you have decided you want a website or have a need to consult with a website design proffessional. Simply fill out our web design quote request form to start the process.